Courvoisier Millenium was a special 1999 release, positioned between VSOP and Napoleon. Courvoisier Succession J.S. is an extremely exclusive cognac. Created to commemorate the bicentenary of Napoleon Bonaparte’s crowning as the Emperor of France in 1804, ‘Le Sacre de Napoleon’, just 2,500 bottles have ever been produced. Courvoisier Succession J.S. comes in a handmade, wooden replica of the Chest of Secrets of Napoleon. 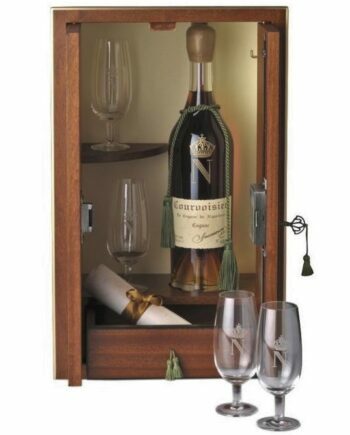 Courvoisier Natur is a VSOP quality Cognac from the house who once proudly supplied Napoleon III but moved rapidly to brother Napoleon Bonaparte 1er, emperor of France, after he became the new number 1. Released around the turn of the century.